Commander Peter Wake, of the U.S. Navy's Office of Naval Intelligence, is in New York City in 1886, where he meets two intense young men who will dramatically influence his life: Theodore Roosevelt and José Martí. Presented with a secret coded message, he deciphers it for Roosevelt, and soon wishes he hadn't. Returning to Washington, he is assigned to follow up on the secret message and uncover the extent of Cuban revolutionary activities between Florida and Cuba, along with investigating rumors of Spanish government agents operating in Key West. The investigation takes Wake to places he thought he knew so well: Havana, Key West, Tampa, and the islands of Florida's southwest coast. But the further he delves, the more he realizes how much he doesn't know, and is drawn inexorably into the center of the most catastrophic event in Key West history, when over half the city was destroyed. And at the end, Peter Wake makes a decision that may well shock his readers—one involving the very darkest shade of honor. The Darkest Shade of Honor is the eighth in Robert Macomber's Honor series. 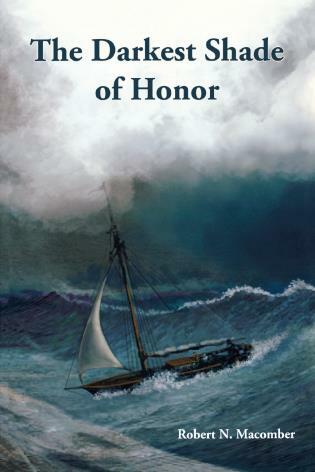 Other novels in the series include At the Edge of Honor (winner of the Patrick D. Smith Literary Award as Best Historical Novel of Florida), Point of Honor (winner of the John Esten Cook Literary Award for Best Work in Southern Fiction), Honorable Mention, A Dishonorable Few, An Affair of Honor, and A Different Kind of Honor (winner of the American Library Association Boyd Literary Award for Military Fiction), and The Honored Dead.